Thank you. We will email you shortly. Imagine knowing that each inspection point was visited. 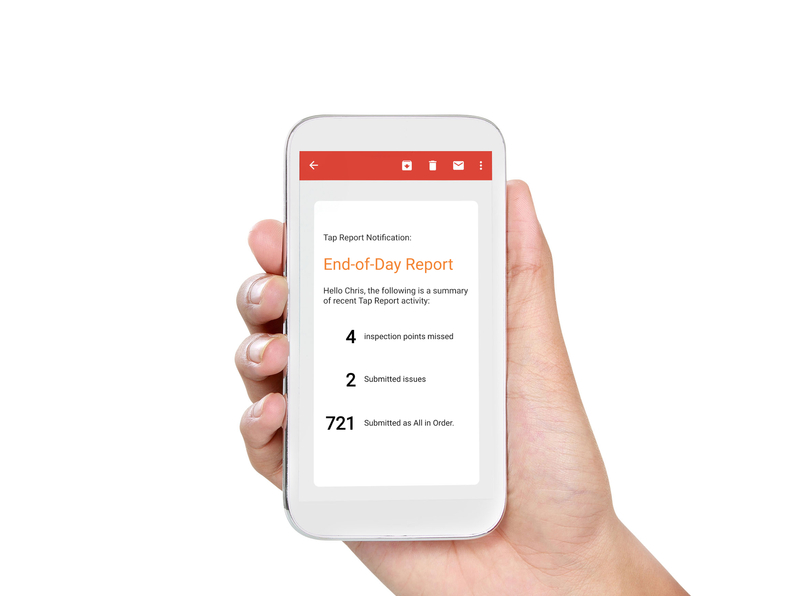 Tap your phone to each tag to create a report. "The automatic e-mails are a good gut check to ensure the first aid stations and daily patrols are being completed." Print or save our audit-proof reports. Build custom reports for your specific needs. 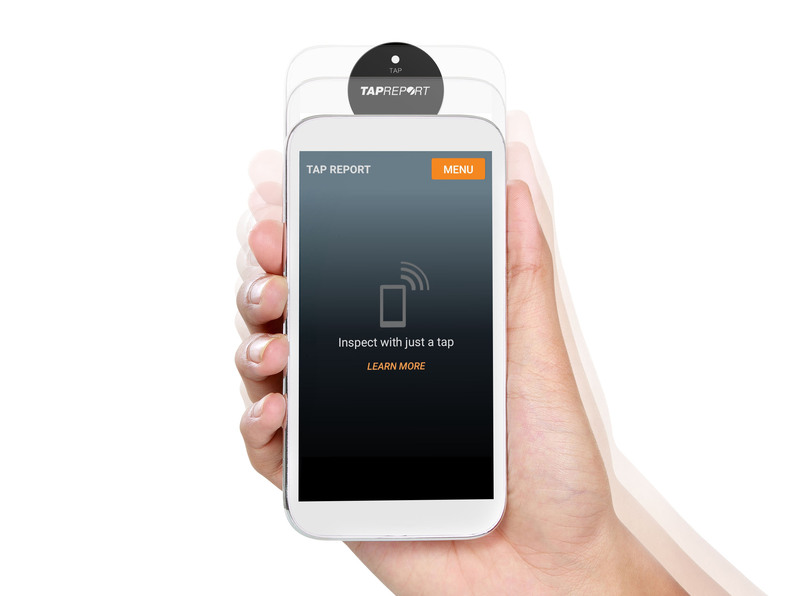 "Tap Report exceeded my expectations." Be notified of deficiencies immediately, daily or weekly. Forgotten deficiencies are escalated automatically. "I find the alerts for cleaning and reporting to client scheduling compliance the most valuable resource. Our staff compliance and accountability has improved immensely as well as assisting with our workload management." Tap Report puts an end to missed inspections. Ensure the right location was visited. Add a note and take a photo. Customized emails and user groups. Capture routine inspection status and deficiencies. Know that each inspection point was visited. Record readings and graph trends in equipment health, inventory count, or condition ratings. 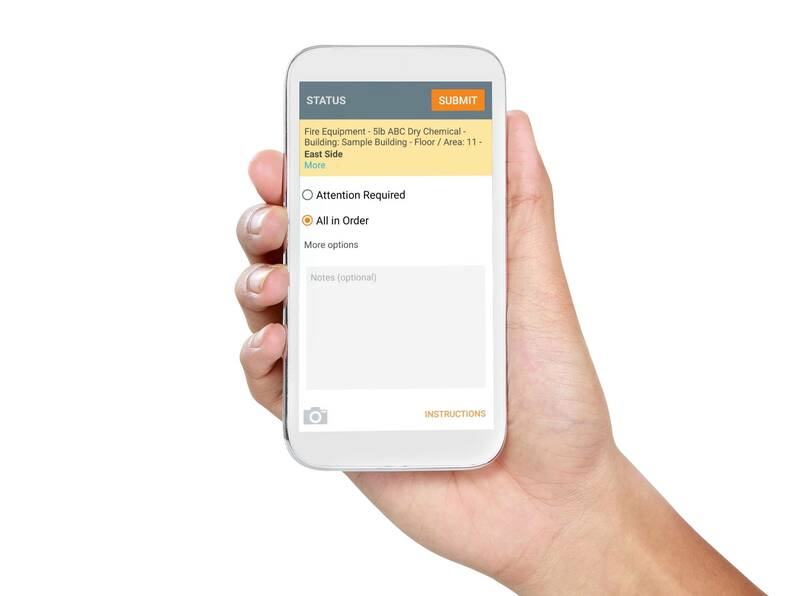 Create customized text to assist those completing the inspection in areas that require additional attention. Deficiencies are automatically sent to the right people. User settings can be customized to ensure task routing is effective. All reports and photos are uploaded to the system. As a result, no signal is needed during the entire inspection. Uncover meaningful patterns to quantify performance, forecast budgets and recommend improvements. Create customized templates to capture essential details of everyday incidents and store data in a searchable repository. Our solutions seamlessly integrate and work with third-party systems to streamline your operations. All inspection reports are stored for 7 years, making record retention seamless and easy to retrieve files when needed. Our Customer Service team will set up everything, including on-site installation and training. Take a guided tour without leaving your desk. "It reassures me that certain systems are operational and allows me to spend my time being more productive ensuring the other layers of defense are in place‎."